Slip this little travel box right in your pocket. 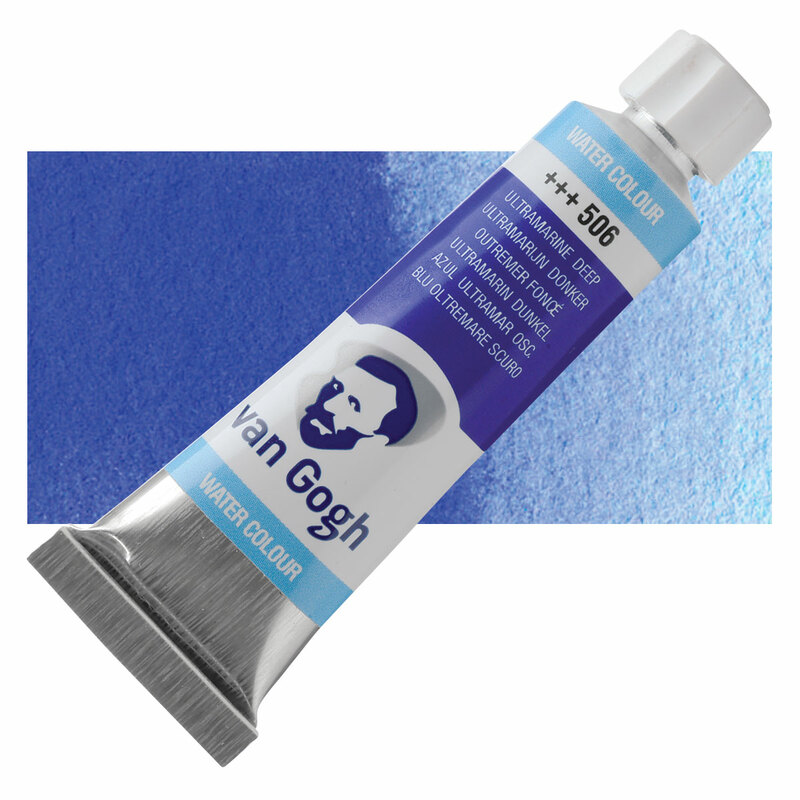 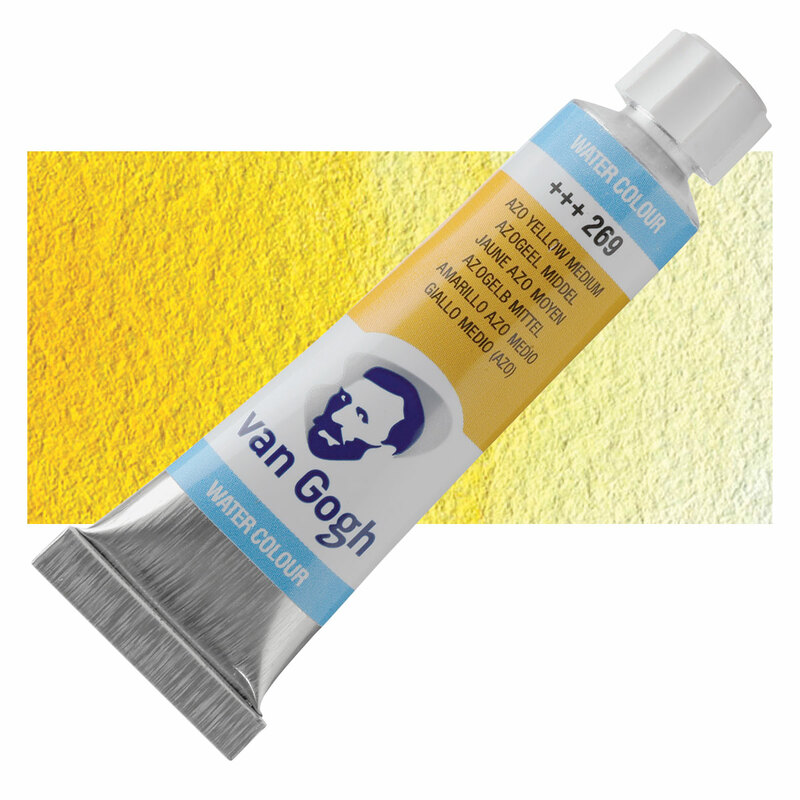 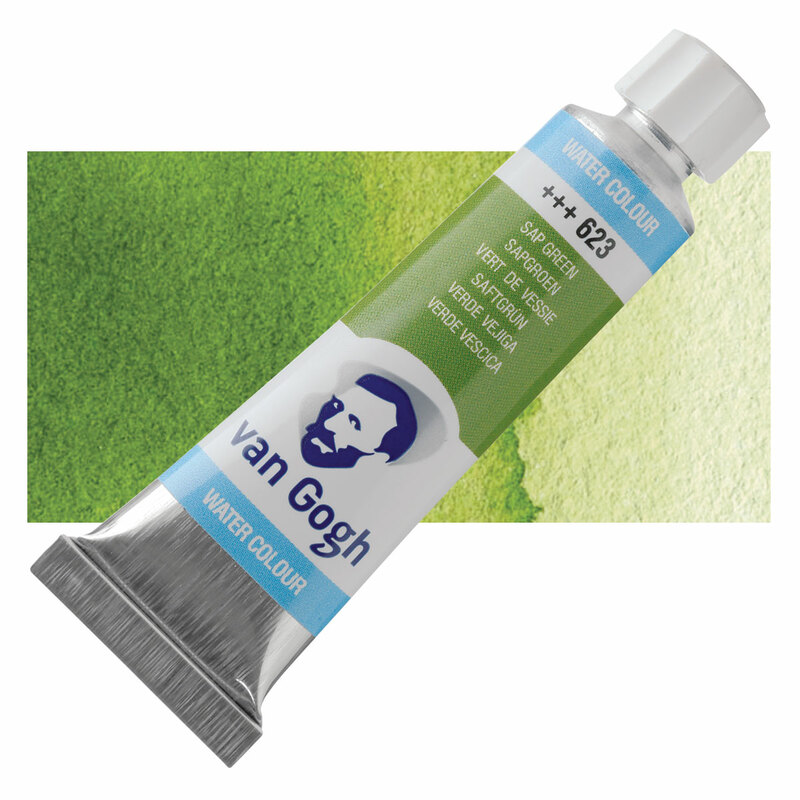 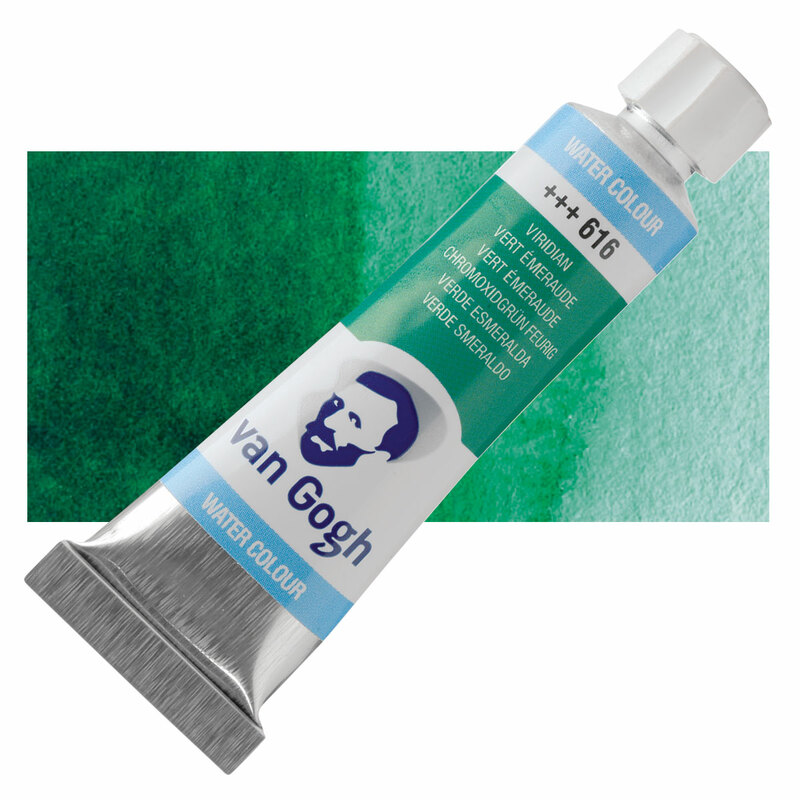 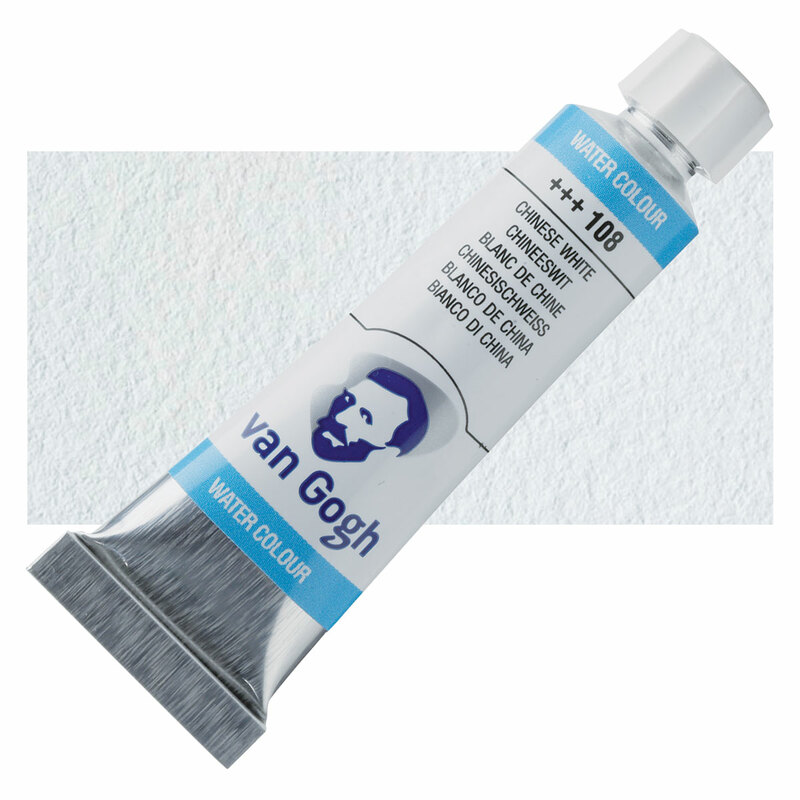 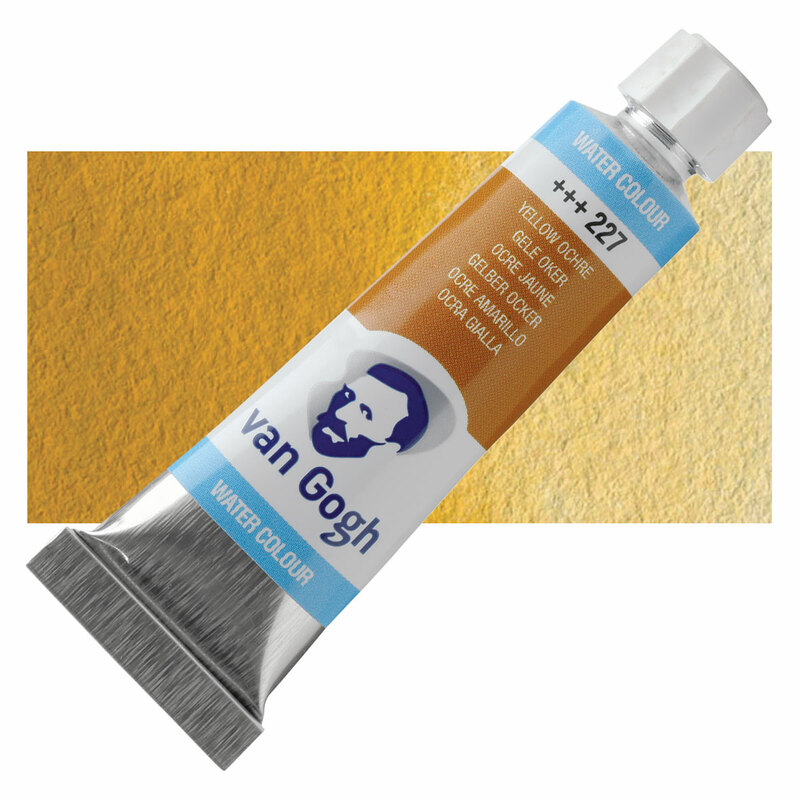 This handy, portable set of Van Gogh Watercolors includes 12 half pans and a pointed round synthetic pocket brush (size 6). 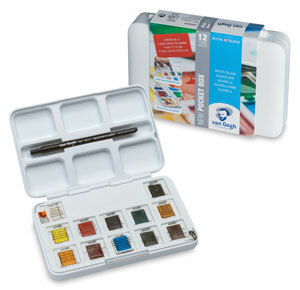 The refillable box is made of durable plastic. Its palette lid can be taken off, making it easier to clean the mixing wells.